The nation’s aviation system is part of the lifeblood of our economy, yet the system is facing rising demand, limited airport capacity, and aging navigation technology. The Federal Aviation Administration (FAA) has developed the Next Generation Air Transportation System (NextGen) in an effort to modernize the nation’s air traffic control system. Once implemented, this system will continue to perpetuate safety standards and promote a more efficient, state-of-the-art satellite-based system. This system has the potential to facilitate economic growth, increase mobility, and provide the United States with the ability to keep pace with our international competitors. However, NextGen has experienced unstable federal funding, causing implementation issues and increasing costs to the U.S. economy. Like other federal agencies, the FAA is also subject to federal procurement rules, which create additional challenges when it comes to managing large scale projects such as NextGen. The inability of federal agencies to issue bonds or any other form of long-term financing further exacerbates these challenges. Exploration of the causes of these issues has highlighted the potential drawbacks of the existing federal institutional structures for delivering NextGen, suggesting that reform could accelerate the timeline. The FAA also has responsibility for other important activities beyond ATC services. These activities include overseeing the safety of the U.S. skies and certifying and regulating aviation products and people. Within the context of maintaining the U.S. airspace as the safest in the world, safety regulation and aviation certification should be streamlined and improved to ensure that the national aviation system has the ability to achieve greater economic outcomes. This would also facilitate the introduction of new users, like unmanned aircraft systems and commercial space transport, into the national aviation system. In addition, airports also fall under the FAA’s regulatory oversight in regards to safety, development, and funding. Recognizing the challenge of air traffic control modernization, the Eno Center for Transportation brought together key stakeholders, former policymakers, and academics into the NextGen Working Group to discuss how to best accelerate modernization and to analyze the institutional barriers that have contributed to the issues surrounding NextGen’s implementation. Our research detailed the history of air traffic control in the United States and the attempts that have been made to reform it. It also included an analysis of six different countries that have reformed the way their air traffic control systems are governed and funded. Based on the research that has been conducted for the working group, and with the goal of reforming air traffic control provision in the United States to effectively and efficiently implement NextGen and its accompanying benefits, we propose the following set of guiding principles. These principles are meant to be a starting point for crafting legislative reform. Access to the national airspace system is crucial for the economy of the nation as well as of many small communities around the country. General and business aviation represent an important share of the traffic in our airspace and make a vital contribution to the national economy. Both domestic and international air carriers depend on an efficient system, and government is also a critical user. 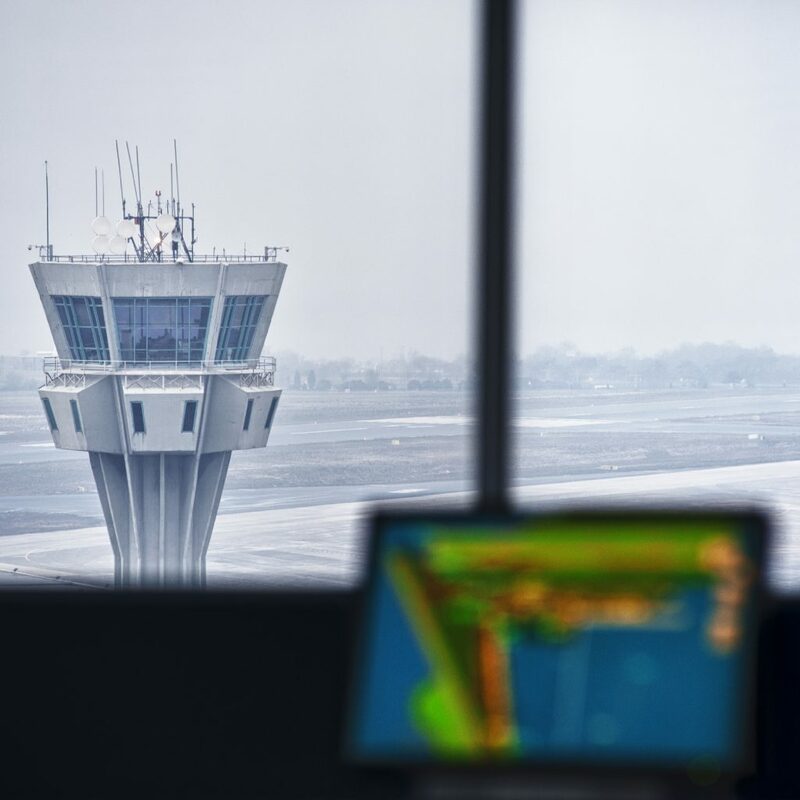 Effective representation of all airspace users in the governance structure of the air traffic control provider is essential to ensure that stakeholders’ interests are safeguarded. Congress and the federal government should also continue to play a substantial role in promoting the growth of the entire aviation system to ensure that adequate capacity exists, delays are reduced, and access is maximized. The current funding mechanism for air traffic control provided by annual appropriations is not an effective mechanism for a highly technological and capital intensive service business. Air traffic control should be removed from the federal budget process and should not be dependent on annual appropriations. This would insulate air traffic control from events like the budget sequester and federal government shutdown of 2013. The current funding system, which is based on a mix of taxes and general revenues, should be replaced, to the extent possible, with direct payments to the air traffic control provider. This funding method would create a self-sustaining system and would be in line with international principles. It would also improve the link between the services provided and the revenues coming in, providing an incentive for efficiency. Additionally, allowing all sectors of aviation to be a part of its governance will allow them to be more engaged in the system’s modernization. Despite 1996 legislation to exempt the FAA from many federal procurement rules, today’s FAA procurement system substantially mirrors that of the rest of the federal government and remains inefficient. These procurement rules and procedures are not effectively designed for the highly technological ATC system, and hinder the system’s modernization. Air traffic control modernization must include improvements to procurement processes. The air traffic control provider will need the ability to issue debt, including bonding authority to aid in long term financing of capital expenditures. The ability to issue bonds, backed by the user-based revenues streams, will ensure better capital planning and will help modernization efforts like NextGen to be more effectively managed and implemented. Stakeholders must play a strong role in governance of the air traffic control provider in order for it to be responsive to the needs of its users and other aviation stakeholders. This involvement would promote a system that is more attentive to the stakeholders’ needs. This could be a more effective way of prioritizing investments. The federal government will have a role in the governance structure as a guarantor of the public interest. The United States has the safest airspace system in the world. The FAA should retain its role as the safety regulator of the airspace system after reform to ensure that it will continue to be the safest in the world. This will bring the FAA in line with the rest of the administrations within the U.S. Department of Transportation, which regulate safety but do not operate the services. In addition, existing rules and procedures should be reviewed, streamlined, and improved, including expediting safety regulatory procedures. Separation of provision of air traffic control services from safety regulation will also follow international recommendations, allowing each organization (the FAA and the air traffic control provider) to focus on their core responsibilities and avoid potential internal conflicts of interest. A critical component of FAA’s continuing role as government safety regulator is the certification and approval processes of aviation products, flight standards, and people. Effective and timely certification processes are essential for the industry and the nation’s economy, and delays in the approval processes can be extremely costly and disruptive to the successful implementation of NextGen, third class medical reform, updating the existing general aviation fleet with modern equipment that will improve flight safety, among other concerns. Moreover, the current processes are unable to keep pace with the rapid advancements in technology and must be reformed, quickly, in order for the national aviation system to continue to be the best and safest in the world. The FAA culture, as well as the regulatory and certification processes, especially in the area of general aviation, need to evolve in order to better keep pace with changes in technology. The FAA, with the support of NASA, has sponsored laudable Research & Development (R&D) to improve the safety and efficiency of our skies. Like other areas within the agency, however, this work is constrained by federal budget and procurement procedures that delay projects and increase their costs. R&D should be freed of such constraints. The transition to any new approach for financing and governance must be thoughtfully and meticulously implemented. Every effort must be made to avoid any adverse effects on the day-to-day functioning of the air traffic system during, or subsequent to, the transition. An important component is to provide as stable and secure a working environment for the employees of the agency as possible, including the continuity of the collective bargaining relationships and processes for employees who currently are represented. The transition in the financing should be done in a way that avoids any significant changes in the financial burdens of the users of the system. Sufficient time must be given to all stakeholders to prepare for the new operating environment. Disclaimer: While we succeeded in reaching a broad consensus on the need for air traffic control reform, as is often the case with an exercise like this, these principles, in whole or in part, may not necessarily represent the views of all who participated. Eno’s working groups bring together industry leaders, influencers, and policymakers to develop pragmatic solutions to some of U.S. transportation’s most pressing challenges. Current working groups include aviation, freight, and transportation finance.